Greyhounds are the fastest dogs in the world, with a top speed of about 45 miles per hour. The highest verified speed of a greyhound was 41.8 miles per hour, set in Wyong, Australia in 1994. However, another Australian greyhound has an unofficial record of 50.5 miles per hour. Greyhounds are the fastest dogs in the world, able to run at speeds up to about 45 miles per hour. The dog gets its speed from its long legs, flexible spine, large heart, fast-twitch muscles, and double suspension gait. While greyhounds are very fast, they are outpaced in sprints by the cheetah and by horses and huskies over longer distances. All of these animals are much faster than humans. Greyhounds are a type of sighthound, bred to track and hunt prey in the open. Over time, the breed became well-adapted to running. Like the cheetah, a greyhound runs in a "double suspension gallop." In this gait, each hind leg follows the foreleg and all four feet leave the ground. During each stride, the dog's body contracts and extends, much like a spring. The greyhound has an enormous heart for its size, accounting for 1.18% to 1.73% of its body mass. In contrast, a human heart averages only 0.77% of a person's body weight. A greyhound's heart circulates the dog's entire blood volume four or five times during a 30-second race. Its high blood volume and packed cell volume ensure muscles get the oxygenation they need to perform at peak efficiency. 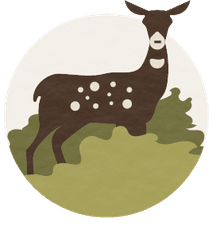 The dog is characterized by its long legs, slender muscular build, flexible spine, enhanced lung capacity, and high percentage of fast-twitch muscles. Greyhounds are widely considered to be the fastest dogs because they can reach the highest instantaneous speed. Other dog breeds clocked at speeds around 40 mph include salukis, deerhounds, and vizslas. These dogs are superior sprinters and medium distance runners. However, the Siberian husky and Alaskan husky surpass the greyhound when it comes to true endurance running. Huskies have run the 938-mile Iditarod sled race in Alaska in just over 8 days, 3 hours, and 40 minutes (Mitch Seavey and his dog team in 2017). Dogs are much faster than humans. Usain Bolt set the 100-meter world record with a time of 9.58 seconds and a top speed of 22.9 miles per hour. In contrast, a greyhound can run 100 meters in only 5.33 seconds. A greyhound can outrun a horse in a sprint because it accelerates so quickly. However, a horse can reach a top speed of 55 mph, so if the race is long enough, the horse will win. While greyhounds are fast, they don't accelerate quite as quickly or reach as high a top speed as the cheetah. A cheetah's top speed ranges from 65 to 75 miles per hour, with a world record for "fastest land animal" of 61 miles per hour. However, a cheetah is strictly a sprinter. Eventually, a greyhound would overtake a cheetah in a long race. 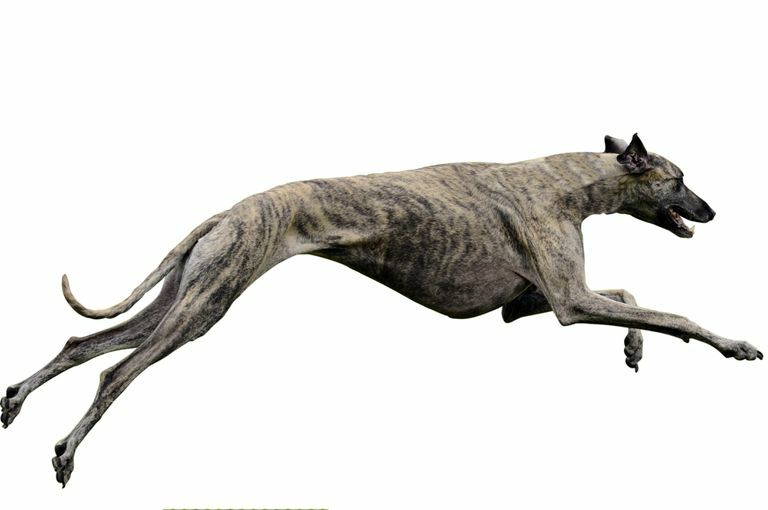 Determining the fastest greyhound is no easy feat because greyhound tracks vary in length and configuration. Greyhounds run courses or they run tracks, so comparing performance in different situations isn't really fair. So, the fastest greyhound is determined based on a dog's performance relative to other dogs. Some would say the fastest greyhound in the world is Shakey Jakey. The dog took a 22-length lead over competitors in a 2014 race at Wentworth Park in Sydney, Australia before immediately retiring. However, the world record holder was named Ballyregan Bob. In the 1980s, Bob accumulated 32 consecutive race victories. The previous record holder had been American greyhound Joe Dump, with 31 consecutive wins. Barnes, Julia (1988). Daily Mirror Greyhound Fact File. Ringpress Books. ISBN 0-948955-15-5. Brown, Curtis M. (1986). Dog Locomotion and Gait Analysis. Wheat Ridge, Colorado: Hoflin. ISBN 0-86667-061-0. Genders, Roy (1990). NGRC book of Greyhound Racing. Pelham Books Ltd. ISBN 0-7207-1804-X.